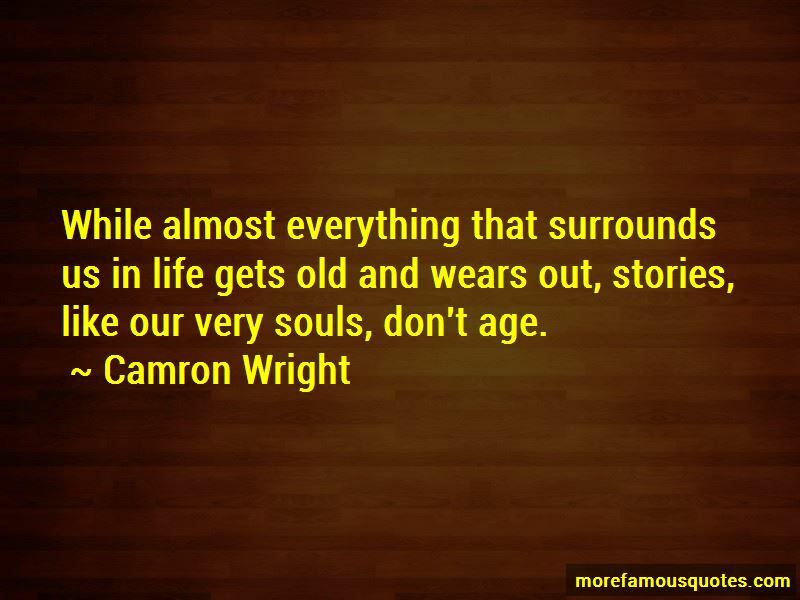 Enjoy the top 45 famous quotes, sayings and quotations by Camron Wright. Sometimes broken things deserve to be repaired. 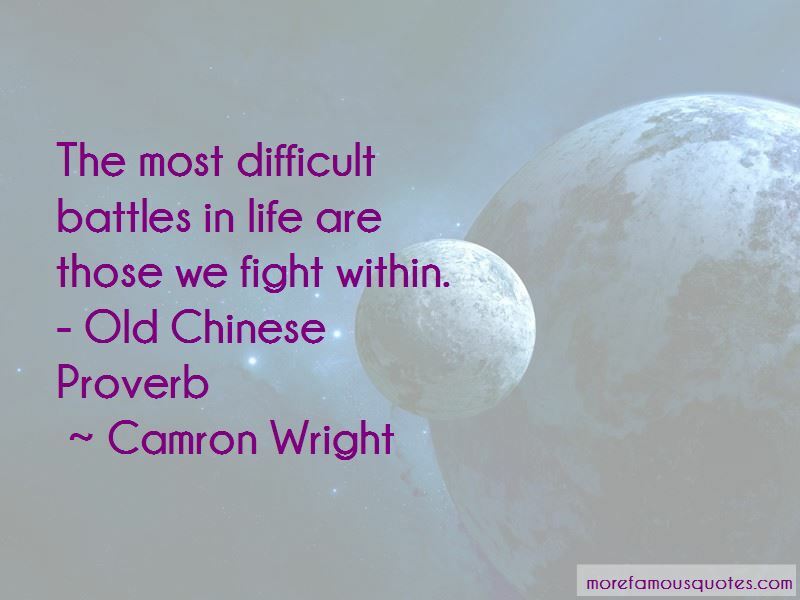 and even if you find them all, if you don't enjoy the path that leads you to them, it will be a hollow accomplishment. “I tell Ki that I'm learning about words and stories to help our family. He says he's protecting our family with his knife. Who is right? Which is best, protecting with words or with his knife?" She is instant, certain, and solemn, and there is no misunderstanding her meaning. “One of the first lessons that I hope you grasp is that woven into meaningful literature, so tightly that it can't be separated, is a telling lesson, even in stories as short as this one." “You're anxious to jump into the river, but you haven't checked to see if the water is deep enough." I don't bother pretending. "Sopeap, you speak in riddles. What are you saying?" I try to sleep myself, but my occupied mind is holding my tired body hostage. 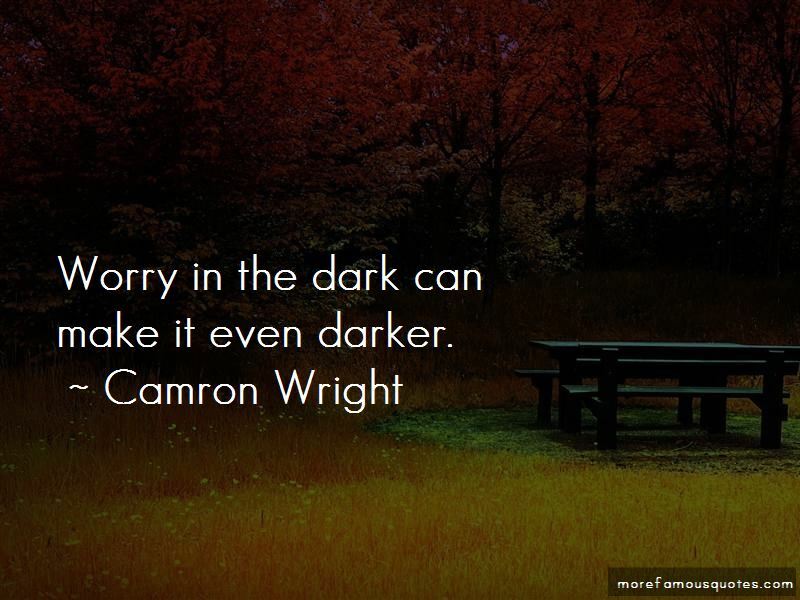 Want to see more pictures of Camron Wright quotes? 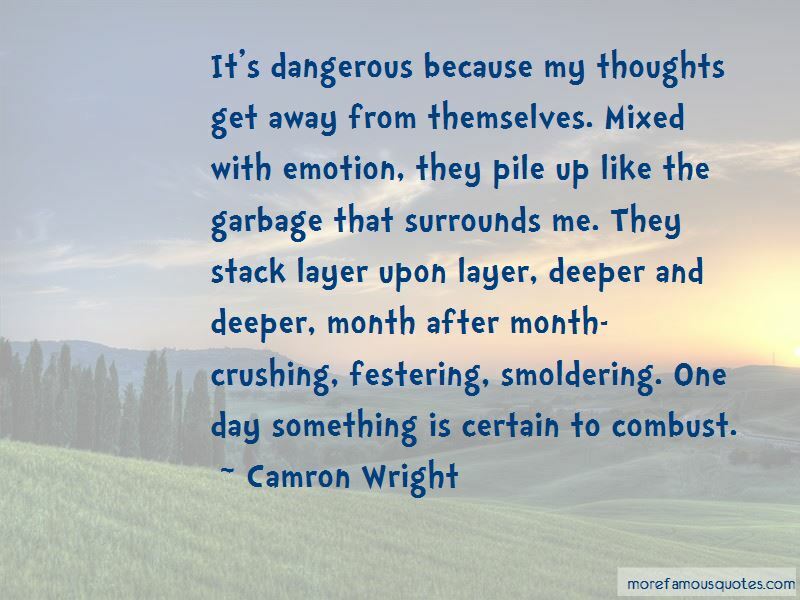 Click on image of Camron Wright quotes to view full size.